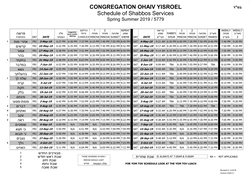 Welcome to the Schedule page for Congregation Ohaiv Yisroel. 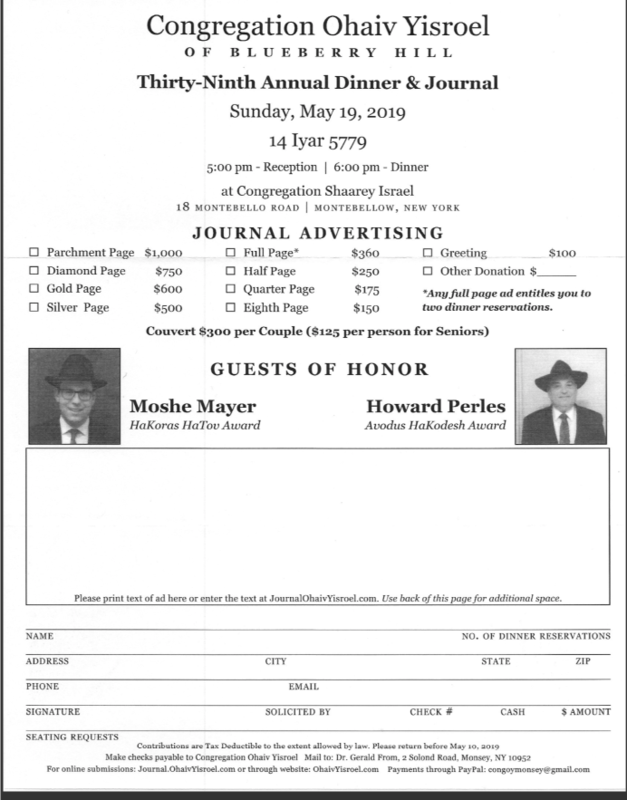 On May 19th, at our 39th Annual Dinner, we will be honoring Moshe Mayer and Howard Perles, who have been inspiring us on the Yomim Noraim. 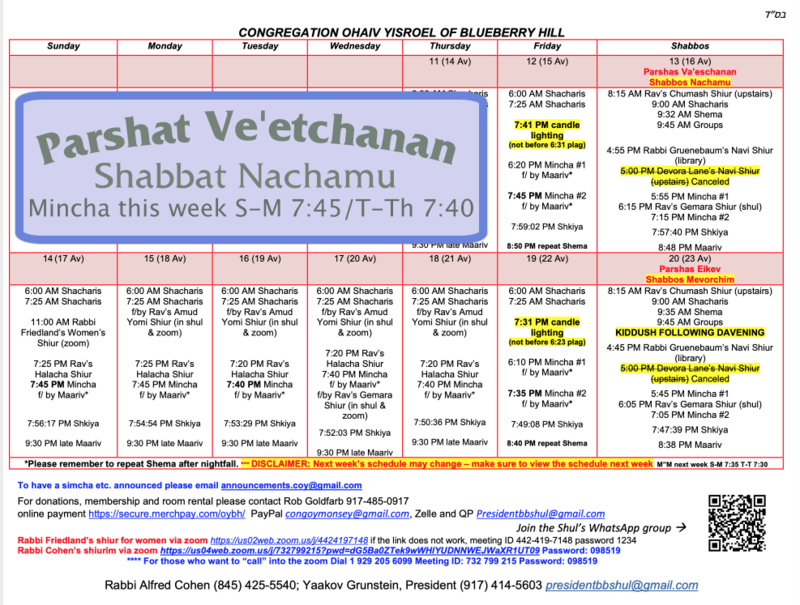 Please join us and help raise the funds to maintain and sustain our Shul. You set the amount, complete it all at PayPal. 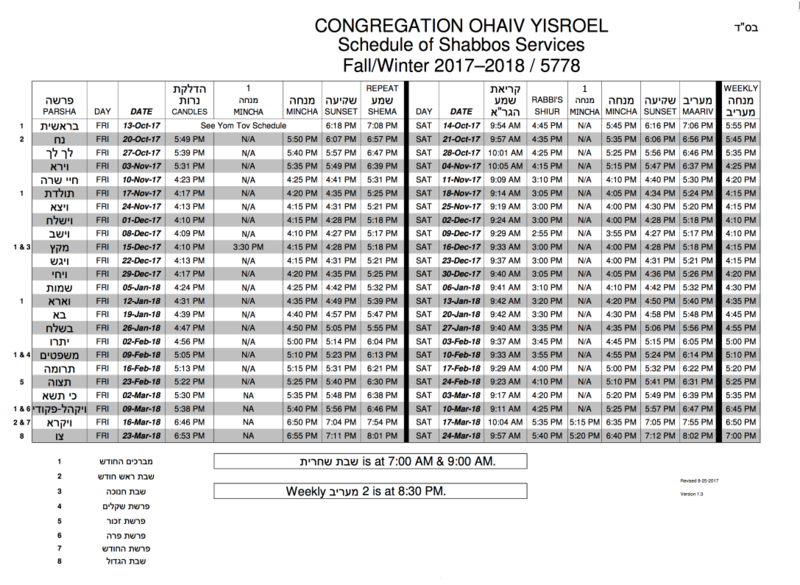 Click on the left to bring up a PDF of the schedule.